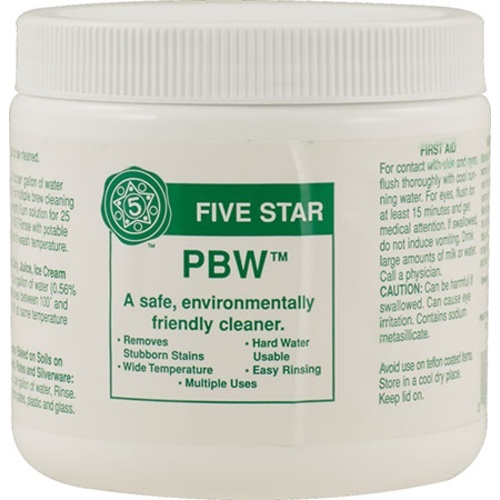 PBW is a great cleaner for wine tanks, lines, pumps, etc. as it will remove wine stain with ease! It is non-hazardous buffered alkaline brewery that will often out perform more hazardous caustic chemicals without removing the flesh off your bones. Because it is not rated as a hazardous item it can ship UPS ground, greatly reducing shipping costs. It will not corrode soft metals. PBW stands for Powder Brewery Wash, as the product was originally marketed to breweries.